First there was the creation of a new way of life north of the Caucasus, a mobile form of pastoralism herding animals which had been domesticated in the near east and the horse which was domesticated somewhere on the Eurasian steppe. Once this new way of life had been developed, it had a tremendous expansionary potential due to the vast amount of land which was suitable for it. This is why polygamy was a good strategy for these pastoralists because, as they competed with one another to build the biggest herds and control the biggest territories, it allowed for a rapid expansion of their family groups. This is the context within which there was a need to bring in additional women from outside. The pastoralists in turn would have been able to offer the families of their Caucasus farmer wives a good bride price for them. But there is R1a-M17 in Lokomotiv predating Khvalynsk. Was it still east of the Urals? I know you pride yourself on being objective, but clearly, like a lot of people who post here, you need to work on being realistic. 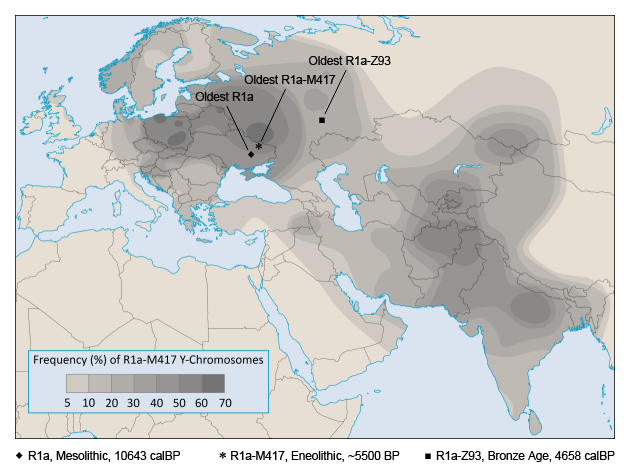 Why would European R1a-M417 come from east of the Urals at such a late stage? Why wouldn’t it come from the western steppe, along with the Corded Ware expansion, from an archaeological group like Dnieper Donets, Sredny Stog or Pontic Yamnaya, that has already been suspected of being ancestral to Corded Ware? 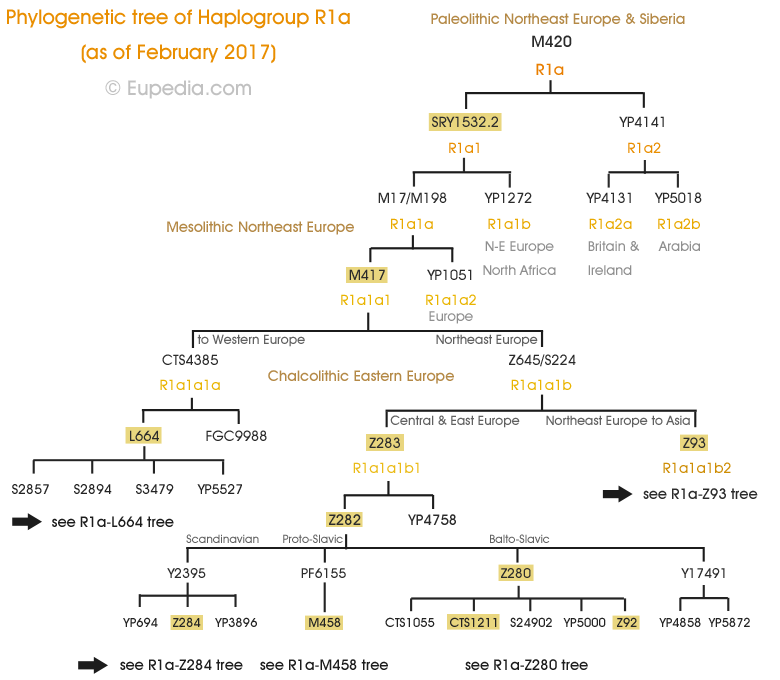 Keep in mind that Ukraine N is from a Dnieper Donets burial, and fits the bill as ancestral to the most steppe-shifted Corded Ware individuals. So that comment of yours, was that a brain fart or were you just trolling, or what?